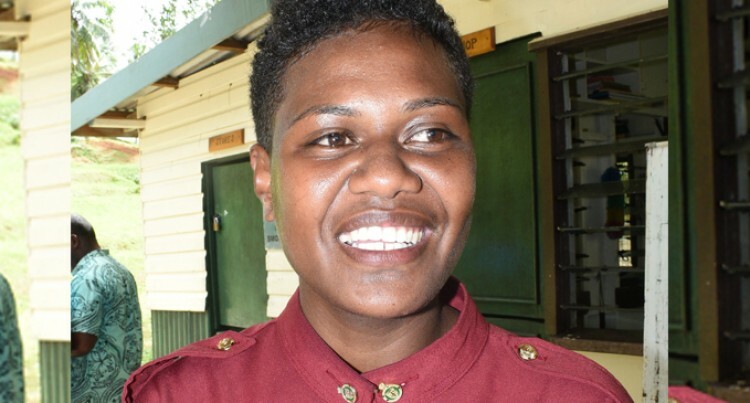 Twenty-year-old Matelita Va­karauvanua is happy to join the Fiji Corrections Service. She was part of the 60 new re­cruits who took part in the passing-out parade at Naboro yesterday. Ms Vakarauvanua who hails from Vutuna, Nairai, Lomaiviti de­scribed their 14 weeks of training as intensely tough and challenging. She said she nearly gave up with­in the first two weeks, but it was through her sheer courage that she completed training. The 14 weeks training, she said, had prepared them physically, men­tally and spiritually. She thanked her parents for their support and their presence yester­day at Naboro, which she claims was a morale booster to her. Ms Vakarauvanua said she would treasure the friendships she had made during the training period. She is now looking forward to her first posting at the Korovou Prison Complex.